In most countries in the world, including the United States, privacy is generally not a legally protected right. The incidences when an invasion of privacy goes punished are usually when it is in conjunction with another crime, such as breaking and entering or theft. As a result, there are constant risks coming from every angle and an army of different people and corporations who are looking to invade your personal privacy, both physically and online. And since it is both hard to catch and hard to prosecute, it is largely up to us to protect our own privacy. 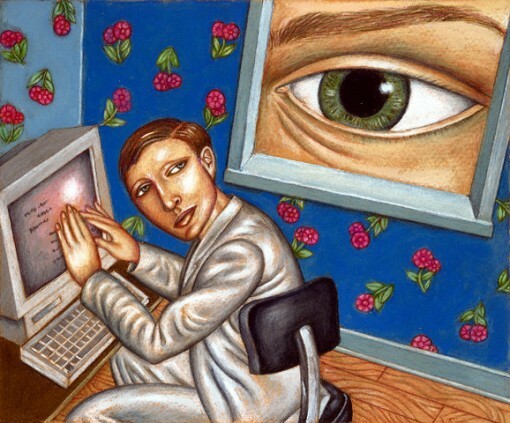 Here are five ways in which you can help secure your privacy every day. Certain everyday activities might be things that you do not think too much about, but often things such as applying for a loan, signing up for a store card or even getting married can put your privacy at risk. Even something such as donating to a political campaign can lead to your sensitive information being shared with outside parties. Sometimes you can avoid this by selecting an option to keep your information private, but often they do not even give you the choice. If this is the case, you might have to call the company or organization specifically and ask them to stop sharing your information. Sometimes, even then, it is just better to go without. You may not be aware, but at any given time there could be any number of people looking in your windows. This is a terrifying prospect, but it is not difficult to prevent. It is for this reason that it is worth spending the necessary money to protect your property with a proper fence and making sure that you have proper protection for your windows. One step further than this and you will have greater protection from the worst kind of invasion of privacy. Proper home security can be the thing that makes all the difference when a burglar is considering breaking in. Any sort of obstacle will be too much hassle, but more than this, a good security system will allow you to have total control over the security of your house. There are reviews for Vivint, ADT and others that will allow you to find the best fit for you. There are a lot of companies out there that are competing to create the best technology and the best systems, which means you will be able to get a system for cheaper, and get more out of them. Thorough research should always be done before taking this step however. Online privacy is just as important as physical privacy, if not more so. If a hacker gets access to your personal information online, they can steal your identity and much more. Downloading good cyber security is therefore essential to anyone who is hoping to spend any amount of time on the internet (so everyone). Be careful though, do enough research ahead of time, so that you do not download bad software that is cleverly disguised as something helpful. Big data security is becoming a booming industry because of the new found need for privacy and identity protection. This need has only been intensified with the press release from NSA contractor Edward Snowden outing the NSA for spying on everybody, everywhere. Cyber security can be one of the most important investments you make. Privacy is hard to protect when so many people are trying so hard to give it away these days. Social media has provided a venue for everyone to share just about everything about themselves. If you want to protect your privacy, be careful what you share online. Go on Facebook and make sure that your privacy settings are strict. You are in control of the information that you share.